Gaps Curatorial is collective founded by Sofía Corrales Akerman, Golnoosh Heshmati and Flavia Prestininzi, who all graduated from the MA Curating and Collections course at Chelsea in 2017. GAPS came together through a realisation that they could ‘collectively embrace the limitations of working in London … into unlimited potential.’ Their most recent exhibition, But We Don’t Leave Pyramids, was in Tehran. We spoke to them about their time at Chelsea, and what the exhibition is about. Sofia: It seemed like a dynamic place, were education and learning could come from practice as well as from theory. Golnoosh: Studying at UAL for its diverse fields of study in the arts, as well as the opportunity to concentrate my masters on Curating. What was your favourite thing about studying at Chelsea? F: Being in contact with Fine Arts students and collaborating with them since the very beginning. Italian universities are pretty traditional and faculties are separated, so it's rare for students who study theory (philosophy, art history) to be close to the fine arts world. Working and studying under the same roof, visiting artists’ studios, helping and supporting each other, drove us toward the self-organization. S: For sure the people, the friends I made. And the tutors (Lynton, Donald, David) that motivated us to get much deeper into ideas which at first were only based in intuition. I think the MA gave me the tools to build arguments, test them and defend them. G: Having the opportunity to work together in the class, and getting the chance for new understanding towards myself in theoretical subjects of curatorial knowledge. And so, having the chance to continue my experience in building our collective. What is GAPS Curatorial, and how did you come together? F: Is a collective based on Google Drive. As a family, we share common thoughts, concerns, love and diversity. S: It is based in respect and a process of active listening and addition, then filtering-reducing the information with a selected strategy. G: It’s where tendencies, triggers, and challenges can come into shape. It came together by realising that we can collectively embrace the limitations of working in London - which is not an easy city – into unlimited potential. You’re part of an ambitious exhibition and symposium on in Tehran, what is the main focus of this and how was it to organise? 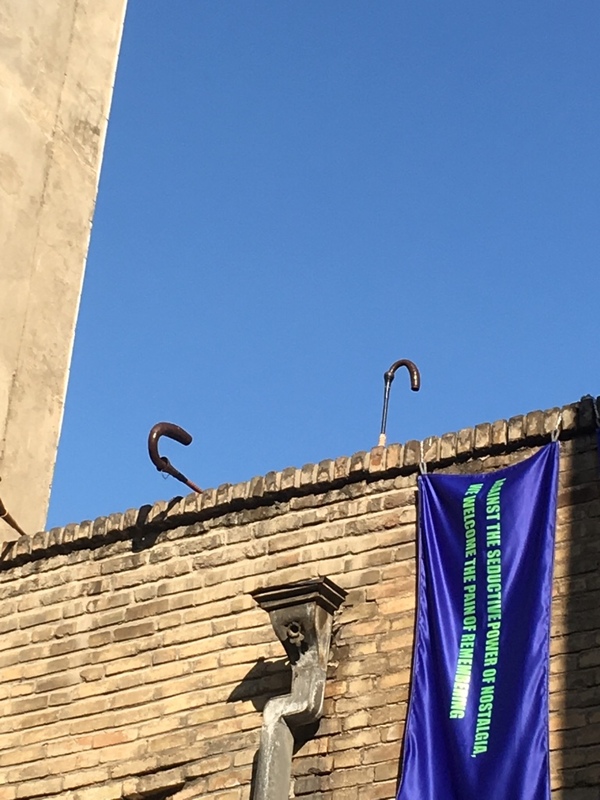 G: The Tehran Curatorial Symposium is part of Curatorial in Other Words, a research-based project initiated by Fereshte Moosavi in collaboration with Charsoo Honar. It explores curatorial techniques in the context of contemporary art and contemporary global challenges. The second edition of the Tehran Curatorial Symposium, Curator as Translator, investigated the notion of translation as mediation. We were invited to curate the exhibition in conjunction with it. As GAPS, the notion of translation in its diverse meanings is an everyday process of work. Translating our knowledge into contemporary art, our culture and ourselves. F: But We Don’t Leave Pyramids (this is the title of the exhibition) was a big step for us. 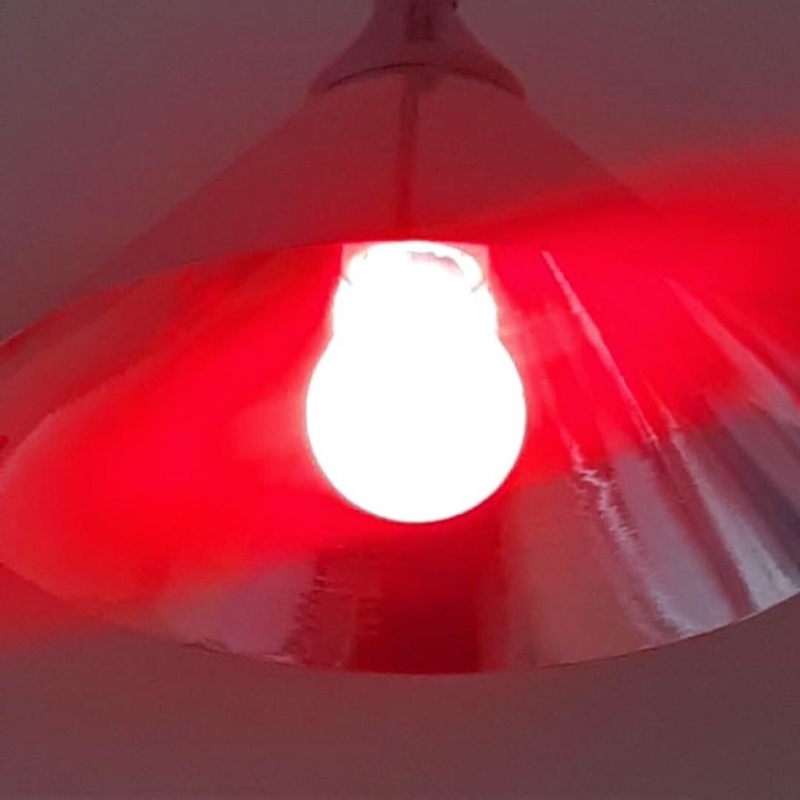 What happened is that, in our previous projects, we used to incorporate some personal feelings like self-irony and sarcasm, due to our specific experience of living in London (some kind of reaction towards the struggle and the enthusiasm of our moment there). As a commissioned work - this exhibition is part of the Tehran Curatorial Symposium - we faced a new situation and we’ve been asked to respond to specificities like the symposium’s topic, the institution, the building, the variety of the public etc.. This, had forced us to take some distances from ourselves and our very personal way of working. Without losing our identity, we have learned another way of being Gaps. There are a lot of other alumni involved in the exhibition, Esther Merinero is also an exhibitor and Emily Pethick is taking part in the panel discussion for the symposium. How did they get involved? G: Emily Pethick was directly invited by Fereshte Moosavi. The symposium was a three-day event of lectures and discussions which included four lecturers (Katayoun Arian, Stefan Nowotny, Emily Pethick and Nasser Fakouhi). S: Esther and I have been part of the same research residency in Madrid. We met each other here and immediately connected and started working together, finding a lot of common interests and thinking procedures. The exhibition happened in the conversation with the artists, not before, not after. I think an interesting part of our working process, that we very much enjoy, is that eventually, after the project starts rolling a bit, most artists get involved the curatorial process with us, sharing ownership at all levels. 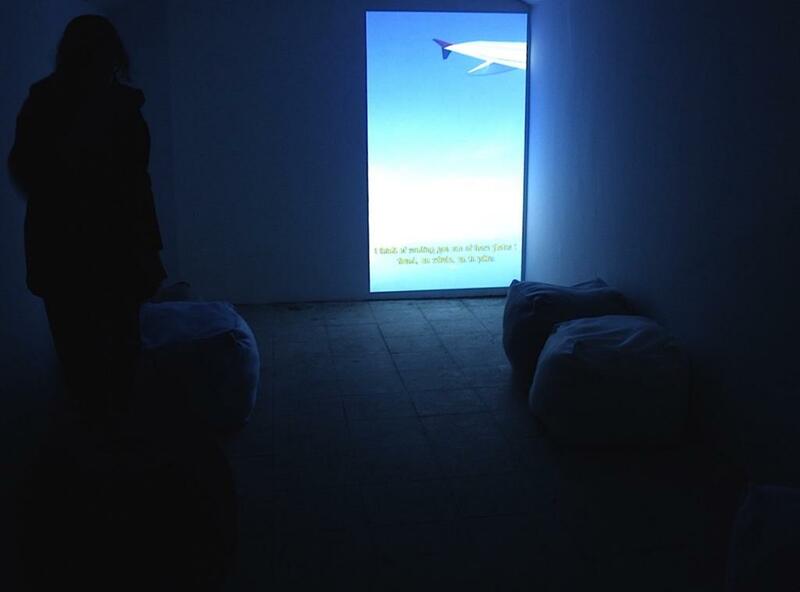 What has been the proudest moment for GAPS Curatorial? S: Having each other every day as a reference for anything is the happiest moment. And lastly, what is next for you? 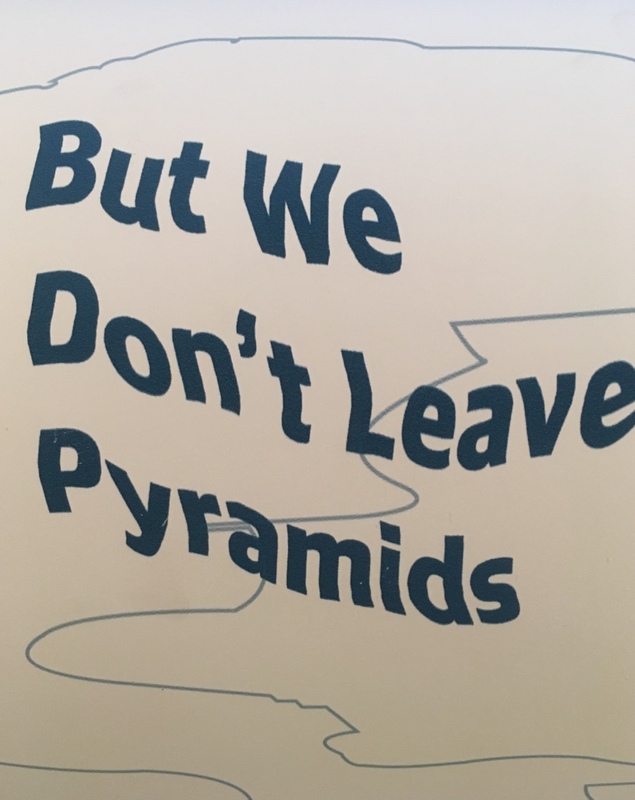 But We Don’t Leave Pyramids is on display at No 10 Mobini Alley, South Mofateh Street until 12 April 2019.